Following on from the Court of Arbitration for Sport’s decision last week to restore the WorldTour licence initially refused to Katusha, the UCI has announced today that it will make an exception to the usual WorldTour rules for 2013 and permit a nineteenth team. The governing body had previously said that it would stick with eighteen teams regardless of the CAS decision, passing the matter back to the Licence Commission to decide which other team would be dropped down to Pro Continental level. Mindful perhaps of the legal challenge such a move would elicit, though, the governing body has decided to leave things as they are at this point in time. 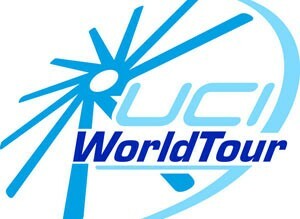 “The UCI today announced that exceptionally there are 19 registered UCI ProTeams in the 2013 season,” it said in a communication. “The decision comes further to the Court of Arbitration for Sport (CAS) ruling of 15 February 2013 which upheld the application of Katusha Management SA to be registered as a UCI ProTeam for the season 2013. Having this number of teams means that WorldTour race organisers will in theory be compelled to allow an extra squad into their race lineup. This would either mean that those organisers will have to allow larger fields, to decrease the number of WorldTour teams by one, or to require that all teams have one less rider than is normally the case. Tour de France organisers ASO said last year that they would consider dropping teams to eight riders in order to avoid the carnage of crashes which peppered the opening week of the race, but it remains to be seen how they and other organisers will react to today’s news. The Katusha team was second last year in the WorldTour standings and had the best individual rider in Joaquim Rodriguez. It was however refused a WorldTour licence on December 10th, and applied ten days later to CAS in order to try to overturn this decision. An application for a fast-track response prior to the Santos Tour Down Under was refused and so the team was forced to miss that opening WorldTour event. It was however successful when the final CAS decision was announced last week and will now be eligible for all of the remaining races.